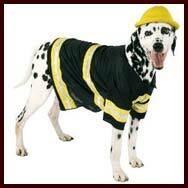 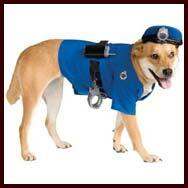 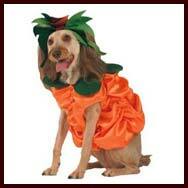 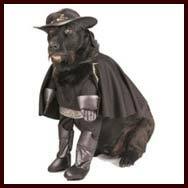 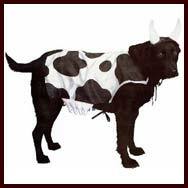 Here is our selection of Halloween dog costumes for large and giant dogs. 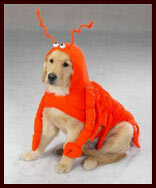 Please make sure the costume is comfortable, and doesn't restrict movement, vision, hearing, or your dog's ability to breathe or bark. 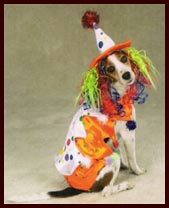 Never leave your dressed-up dog unattended during the party ! 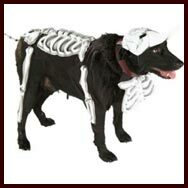 For the correct size measure the length of the dog's back from the base of the neck to the base of the tail (unless otherwise specified !). 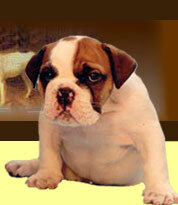 In case of doubt, or if your dog has a stout build or is overweight, we recommend going up one size for proper fit. 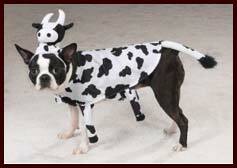 For Bulldogs, see also Halloween Bulldog Costumes. 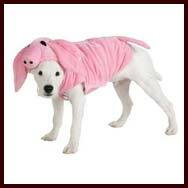 For Pug, see Pug costumes. 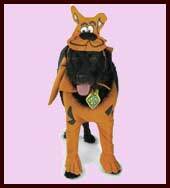 Large fits 18" to 20"